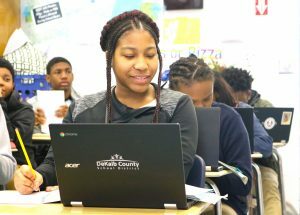 On July 9, the DeKalb County School District (DCSD) reaffirmed its commitment to delivering an innovative, future-minded, and streamlined education. DCSD’s chief information officer, Gary Brantley, presented the district’s Technology Plan to the DeKalb County Board of Education on July 9. The Technology Plan provides a roadmap for the district with regards to technology, and outlines tech-related goals for the next three years. An in-depth look at the new technology plan can be found on the technology plan webpage. For 2018-2021, the new DCSD Tech Plan expects to continue improving infrastructure, create an empowered learning environment, focus on data governance, provide more opportunities for professional learning, and forge community partnerships. 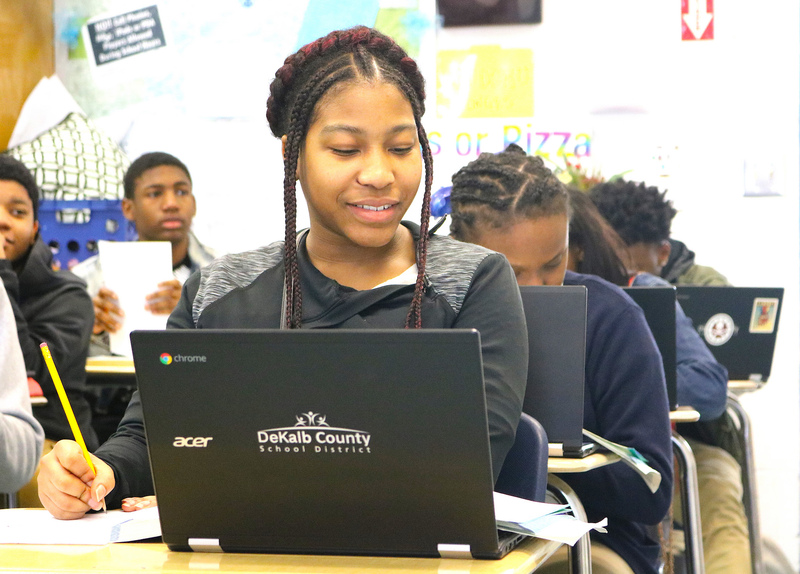 The new tech plan is the product of multiple DCSD administrative offices—including information technology, curriculum and instruction, finance, and human capital resources—as well as input from DeKalb County stakeholders. Past tech plan goals included anytime and anywhere access for students, infrastructure improvements, better communication, learning opportunities for employees, as well as integrating a data-driven business model to improve instruction. Brantley said an empowered learning environment allows students to take control of their overall education experience. By providing innovative technology to students, the district can cultivate students who can constantly be active, creative, knowledgeable and ethical in a globally connected society. Under the new tech plan, DCSD hopes to continue improving its tech-related infrastructure. This includes increasing network securities, increasing bandwidth, improving devices—everything to keep the district on the cutting edge of technology. The new tech plan will also continue to provide employees with tech-centered professional learning opportunities. By allowing employees to integrate technology into their daily work—be it on the bus, in the classroom, or in an office—DCSD can tailor its education to best fit the needs of students. “Professional learning is nonstop,” Brantley said. In the same way, the new tech plan hopes to expand the district’s community partnerships. Through expanding technology, DCSD can collaborate with students, families and community members to provide an ever-evolving learning environment. Brantley said the Digital Dreamers initiative—which aims to place a device in the hands of every DCSD student—has garnered interest from the local business community. As of January 2018, more than 50,000 devices have been delivered to students at every grade level; more than 5,000 mobile hot spots have been given to students; more than 10,000 students have been provided wireless access; and more than 600,000 student logins have taken place throughout the district. Overall, almost 7,000 courses have been completed by students online. In August and September 2018, DCSD plans to complete its Digital Dreamers initiative. This will involve distributing approximately 25,000 more devices to students. A complete outline and rollout schedule can be found on the Digital Dreamers website.